Rep. Maxine Waters (D-CA) told Bloomberg Television on Wednesday that she will investigate President Trump's ties to Deutsche Bank if she is elected chair of the House Financial Services Committee. Of all the investigations I'm most interested in Rep Maxine Waters' statement that she'll investigate Deutsche Bank for laundering russian money. Deutsche Bank also the source for a lot of Trump's money pool despite high risk. President Trump's relationship with Deutsche Bank has long been in Waters' crosshairs - as the 80-year-old Congresswoman has made repeated calls on the German financial institution to provide documents concerning any ties that Trump might have to Russia. As the ranking minority leader on the House Financial Services Committee she has thus far only been able to sabre-rattle, however she will now be able to subpoena records connected to a President whose impeachment she has repeatedly promised constituents since his election in 2016. Waters also told Bloomberg that she would also investigate changes made at the Consumer Financial Protection Bureau under the direction of acting director Mick Mulvaney, as well as Wells Fargo - which she has urged the Federal Reserve to come down hard on in the wake of several scandals. 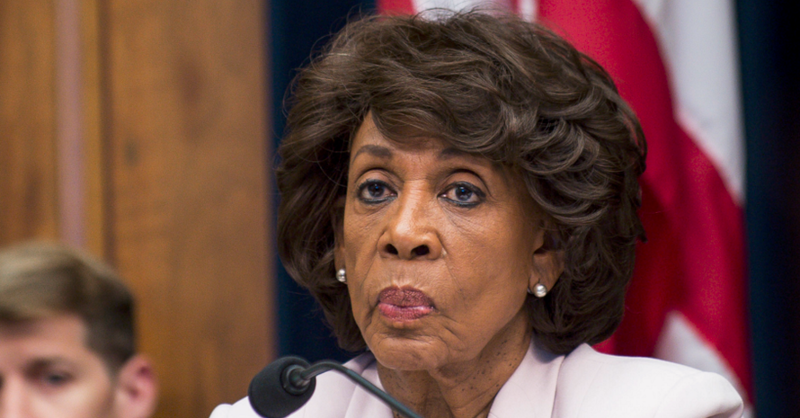 But Waters does have a list of policy priorities; she told CNBC in July that if she became committee chair, she would address affordable housing and the conservatorship of the two government-sponsored enterprises — Fannie Mae and Freddie Mac. She also pledged to “undo that harm” that Trump-cabinet member Mick Mulvaney has done at the Consumer Financial Protection Bureau, the agency created in the aftermath of the crisis that was tasked with policing financial services products. Speaking to MSNBC on Tuesday, Waters also expressed strong thoughts on banking regulation and lashed out at Republicans for using the last two years to enact revisions to the post-crisis Dodd-Frank financial regulatory framework. -Yahoo! "For everything that we have tried to do to bring about some fairness and justice for these financial services companies and etcetera, we have absolutely been fought against by Republicans," said Waters. In a pre-midterm note, JPMorgan Chase predicted "There will be more oversight and subpoena with committees headed by Democrats."